The amount of 200 USD has been withdrawn from your account. Accounts: U4024546->U17417100. Memo: Shopping Cart Payment. Deposit to Bitkindle.io User hyipincome.. Date: 16:58 16.01.19. Batch: 242952063. Memo: Shopping Cart Payment. Deposit to Bitkindle.io User Watchhyips.. Memo : Shopping Cart Payment. Deposit to Bitkindle.io . BitKindle Limited	+18.25 Received Payment 18.25 USD from account U17417100. Memo: API Payment. Withdraw to FairMonitor from Bitkindle.io. The amount of 10 USD has been deposited to your account. Accounts: U17417100->U4024546. Memo: API Payment. 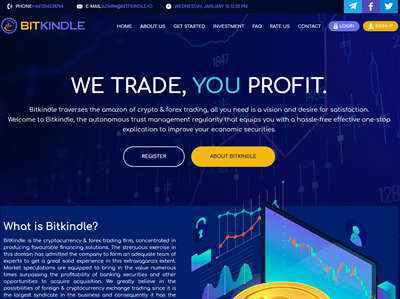 Withdraw to hyipincome from Bitkindle.io.. Date: 20:55 17.01.19. Batch: 243066127. Memo : API Payment. Withdraw from Bitkindle.io.